This new set of Algebra workbooks gives children the confidence and skills they need for advanced mathematics. Using the celebrated Kumon Method, this book helps to establish strong algebra skills, developed previously using the Pre-Algebra Workbook series. 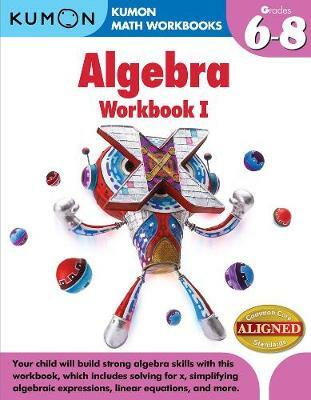 The topics covered in Algebra Workbook I include; algebraic expressions, solving equations and linear equations.